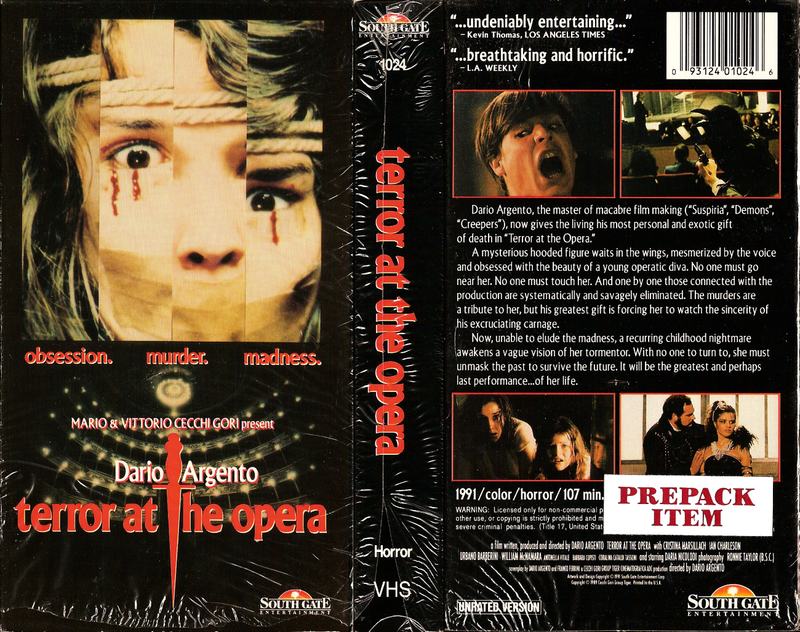 As a little unannounced companion scan to the great Japanese VHS Hell's latest cover, here's Southgate's unrated VHS of Dario Argento's Opera. Southgate also released a severely truncated R-rated version. Naturally, the Japanese cover beats the snot out of this design, but it's tough to find this "almost" still sealed.